Last week’s post focused on RogerEbert.com’s Movie Love Questionnaire, a survey designed to reveal an intimate glimpse into the quiz taker’s taste in film. I shared my answers and challenged several Facebook friends to submit theirs. I did receive a questionnaire full of fascinating answers from my friend and former newspaper colleague, Shawna Foxgrover. You’ll find her responses below. It’s a good read. 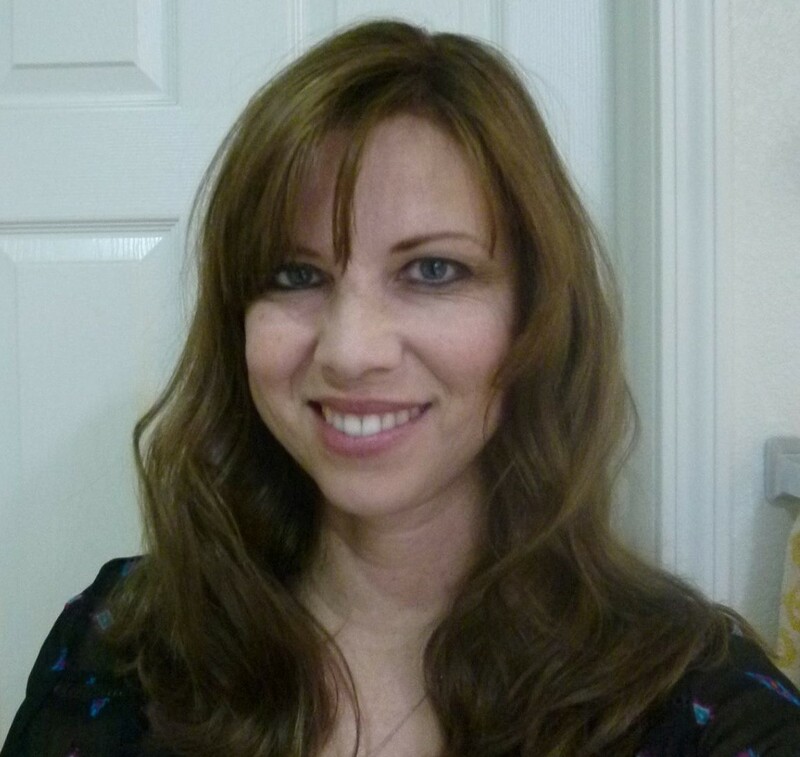 Shawna Foxgrover graduated from Cal State University, Northridge, with a bachelor’s degree in English literature and worked at the Antelope Valley Press for six years before her current position as a stay-at-home/out-and-about mom to two kids and two naughty cats. She likes reading, writing and watching movies. Where did you grow up, and what was it like? I grew up in an apartment in North Hollywood, and went to school in Toluca Lake. My sister and I supposedly walked to school with River Phoenix and his siblings sometimes. I don’t remember this, but this is what I was told. One of my sister’s friends lived down the street from Bob Hope. My parents saw Sylvester Stallone in the pet store where we got our guinea pigs. We named them Rocky and Adrian. Movie stars were a big thing, obviously, living near Hollywood. I remember going to Universal Studios and seeing the backlots where they filmed movies. My grandma lived in Burbank and her friend was always talking about auditioning for commercials. My mom worked during the day, and my dad went to CSUN in the evenings, until he graduated and we moved to the Antelope Valley where he got a teaching job. Was anyone else in your family into movies? If so, what effect did they have on your moviegoing tastes? My dad liked the Rocky movies. I don’t think my parents went out very often. I remember them watching mini series on TV — Roots, The Thorn Birds. My mom liked movies that were from musicals: Sound of Music, My Fair Lady, etc. We were only allowed to watch movies that our parents screened first. I remember my mom saying, “No, you’re not watching that.” Or she would cover our eyes during particular scenes. What’s the first movie you remember seeing, and what impression did it make on you? When I was in second grade, our teacher (Kathryn Beaumont, who voiced Alice in Alice in Wonderland, and also Wendy in Peter Pan) took us for a field trip to the Disney studios and we talked about how they used animation to make the films. So I guess Alice in Wonderland, which we watched that day. What’s the first movie you ever walked out of? I don’t remember. I turn lots of movies off though, when we’re watching at home. We have a 10-minute rule. If it stinks, we give it 10 minutes to convince us to keep watching. What’s the funniest film you’ve ever seen? There’s Something About Mary makes me laugh every time. What’s the saddest film you’ve ever seen? Les Miserables makes me sob. Never Let Me Go. The Fault in Our Stars. Many others. I’m a huge crybaby. What’s the scariest film you’ve ever seen? I don’t like scary movies, but my husband Paul used to drag me to scary movies occasionally. After we saw Event Horizon I started bawling in the parking lot because the movie freaked me out. What’s the most romantic film you’ve ever seen? True Romance, of course! That’s not really a romance though. The Wedding Singer? What’s the first television show you ever saw that made you think television could be more than entertainment? What book do you think about or revisit the most? What album or recording artist have you listened to the most, and why? Is there a movie that you think is great, or powerful, or perfect, but that you never especially want to see again, and why? I thought Snowpiercer was really intense but it’s too disturbing. Pan’s Labyrinth, for the same reason. Princess Bride because my husband puts it on anytime anyone’s sick. And When Harry Met Sally. The Star Wars trilogy. What was your first R-rated movie, and did you like it? I watched Gremlins at a friend’s house when I was in third grade. Actually I don’t know if it is rated R. I just remember my mom said I wasn’t allowed to watch it because it was too scary. What’s the most visually beautiful film you’ve ever seen? Gravity. The Fifth Element. Life of Pi. Do I have to pick just one? Who are your favorite leading men, past and present? Who are your favorite leading ladies, past and present? Who’s your favorite modern filmmaker? Tarantino and George Lucas, of course. Ridley Scott, Tim Burton, Rob Reiner, Wes Anderson, Alfonso Cuaron. I like what Neill Blomkamp is doing so far. Who’s your least favorite modern filmmaker? Anyone who makes movies like Saw. I don’t see any redeeming value in those types of movies. What film do you love that most people seem to hate? I don’t know. Maybe Interview with the Vampire? What film do you hate that most people love? Tell me about a moviegoing experience you will never forget — not just because of the movie, but because of the circumstances in which you saw it. What aspect of modern theatrical moviegoing do you like least? I don’t like it when the special effects are there for the sake of special effects, and there’s not enough story or character development. I want to get up and leave when I don’t care what happens to the characters. I also hate it when there are previews for horror/supernatural movies. What aspect of moviegoing during your childhood do you miss the most? I was way less picky about movies when I was a kid. Every time I saw a movie, I was blown away. That happens less often now. Have you ever damaged a friendship, or thought twice about a relationship, because you disagreed about whether a movie was good or bad? No but Paul and I get in arguments when I pick a movie apart. I liked The Grand Budapest Hotel but my nitpicking about it drove Paul nuts. What movies have you dreamed about? I always dream about movies, especially if I watch them right before bed. We turned off the movie Divergent because we didn’t like it and that night I kept dreaming about it. What concession stand item can you not live without? If you’d like to take a crack at the questionnaire, I’ve included the list of questions to cut and paste below. Respond in the comments section here or on the Facebook link, or email your responses to lavendervroman@gmail.com. If I find your answers interesting and insightful, I might post them on the blog. This entry was posted in Uncategorized and tagged Cal State University, Joaquin Phoenix, Patricia Arquette, Robin Williams, scary movies on March 11, 2015 by Lavender Vroman.